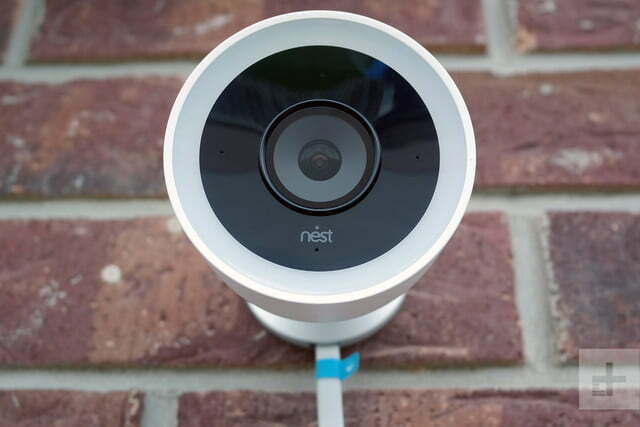 Climb into the Nest Cam IQ Outdoor, and you'll never look at grainy footage again. While the indoor smart cam market is packed with choice, from premium devices like Logitech Circle 2 to the marvelous $20 WyzeCam V2, outdoor equivalents are just coming to the fore. In recent times, we’ve tested excellent devices, such as the battery-powered Netgear Arlo Pro 2, the sunshine-loving Ring Spotlight Cam Solar, and cable-toting Spotlight Cam Wired, all of which offer high-quality video, integrated security features and relatively simple installation. 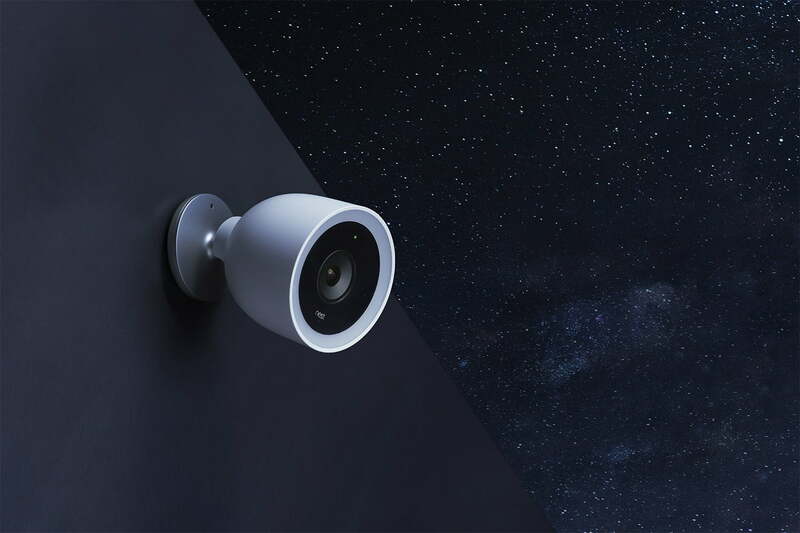 Joining them is the $349 Nest Cam IQ Outdoor security camera, a wired and weatherproof device packed with intelligent features we’ve already seen put to good use this year with the Nest Secure smart security system and Nest Hello smart doorbell. Google’s smart home specialist is, of course, no stranger to outdoor cameras. The $199 Nest Cam Outdoor has been spotting suspicious activity for the last few years with crisp 1080p HD video, night vision, two-way talk, and smart notifications. 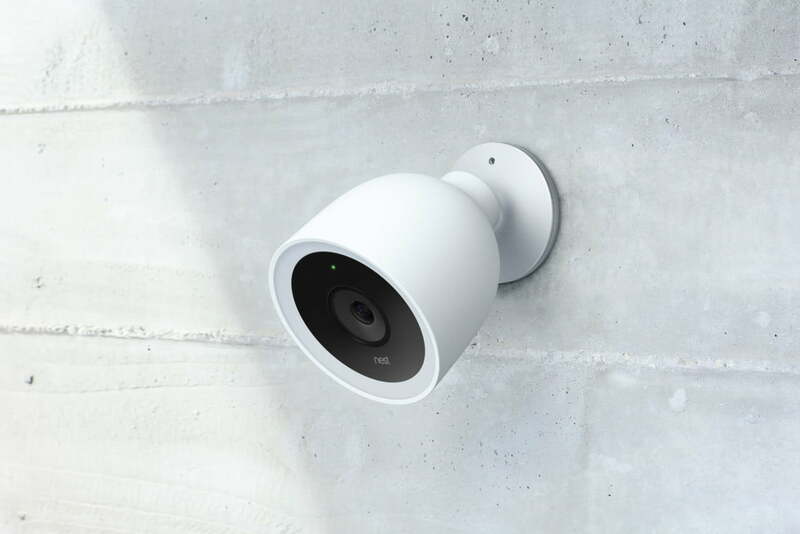 The Nest Cam IQ Outdoor builds on these solid foundations, adding a 4K sensor (with 1080p HDR output), facial recognition, and smart tracking — but unlike competitors, it lacks external security features like a floodlight or siren. 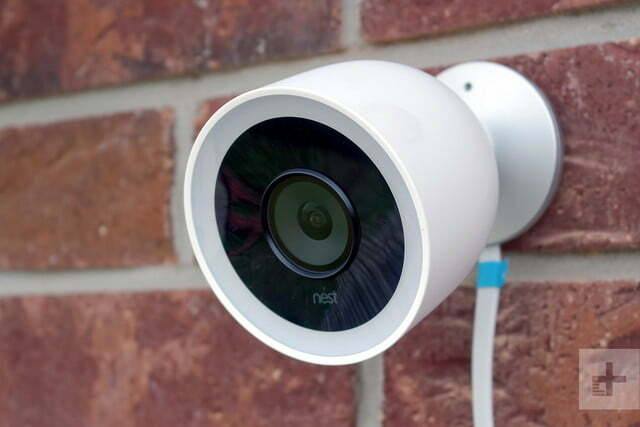 Nest knows how to put together a polished package, and Nest Cam IQ Outdoor doesn’t disappoint. Alongside the sleek and sturdy, bell-shaped camera, you’ll find a 7.5 m (25 ft.) outdoor-rated USB-C cable, plus the wall anchors, screws, and cable clips you need to install the device on an exterior wall. A beautifully-crafted aluminum wall plate adds a premium touch to a camera that’s far prettier than its competitors and, as usual for Nest, the quality extends across industrial design to user experience. Unlike Nest Hello, there’s no branded drill bit in the box, but the comprehensive installation guide gives you the lowdown on any additional tools you’ll need. Like any wired, outdoor electrical device, installing the camera requires a little home improvement skill (or a healthy dose of enthusiasm), so novices may prefer to recruit a professional to help. For obvious security reasons, you’ll need to drill through your home’s exterior and route the power cable to a standard, indoor electrical outlet. Be sure to plan and measure that route accurately and check for pipes and electrical cabling before drilling. An operating temperature range between –40 degrees to 113 degrees Fahrenheit means that most home owners will be able to leave the camera installed throughout the year. If you’ve previously installed a Nest device in your home, you’ll find it really easy to add the camera to your network. Your Wi-Fi details are automatically pushed to Nest Cam IQ, so once you’ve scanned the device’s QR code in the Nest app, you’re done. But even if it’s a debut for Nest in your home, you’ll find setup to be a cinch. Once up and running, we were impressed by the camera’s wide 130-degree field of view, which is more than sufficient for a small or medium-sized back yard. It’s achieved with the penalty of a slight fish-eye effect, but that won’t distract you from the action. 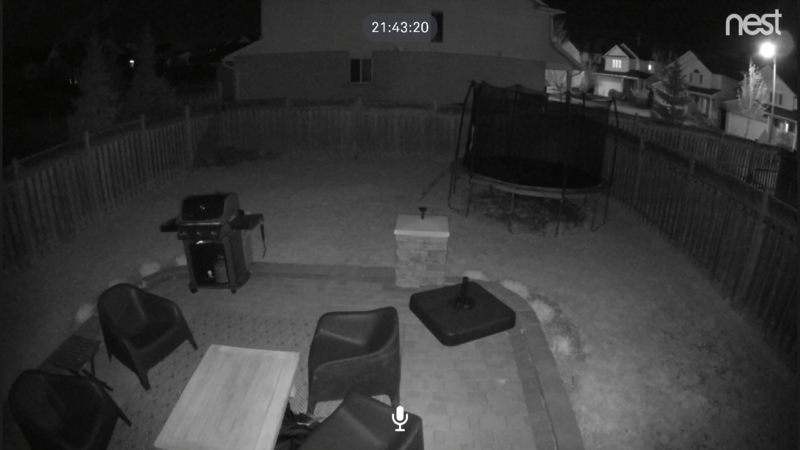 At Nest Cam’s reasonably low default quality setting, we found image quality to be reasonable, but while this efficient setting reduces bandwidth requirements, it also introduces noticeable artifacts and blockiness at long range. We were much happier when we bumped up the camera to maximum quality – the image was slightly too sharp, but clear with balanced colors and exposure. 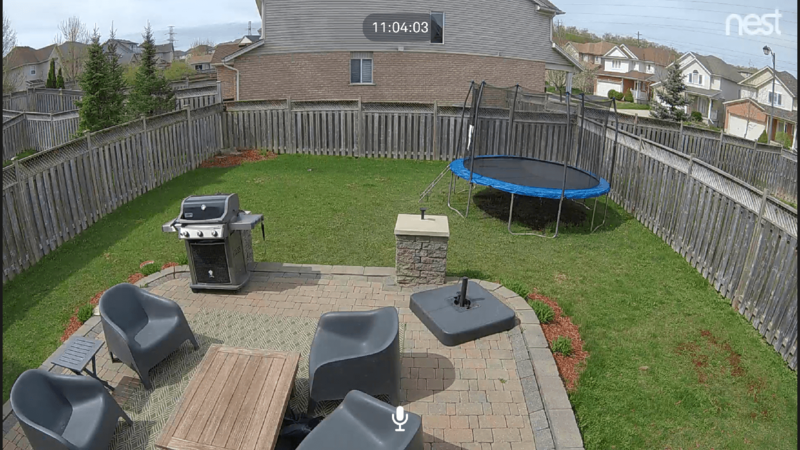 No complaints here – the Nest Cam IQ Outdoor offers superior imaging to the Ring Spotlight Cam Wired, as you can see from our image comparison, while network connectivity was better too. Night images were similarly impressive. As we usually find with smart cams, they lacked the sharpness of the daytime equivalents, but the yard was well-illuminated (particularly at short range) with good contrast. Again, we preferred Nest Cam to Ring here when comparing images, with the former offering better image quality and clarity at both short and long range. Most smart cams we test offer two-way audio, but the quality is mostly lackluster. No so with this device. The integrated three-microphone array performs brilliantly to pick up ambient noises, such as birdsong and passing cars, while voice recording and audio output from Nest Cam’s speaker are balanced and clear without any of the harshness we’ve encountered on other solutions. Sound detection notifications are disabled by default but can be toggled with a couple of taps. 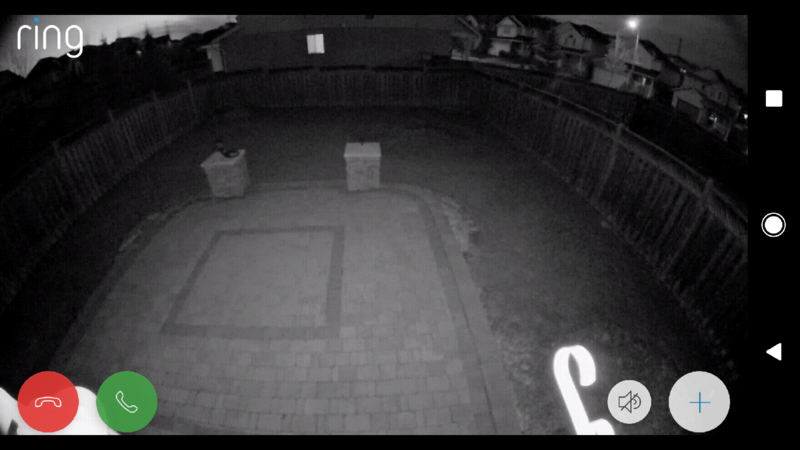 The Nest Cam IQ Outdoor offers superior imaging to the Ring Spotlight Cam Wired. While you can choose to configure static motion detection zones, fans of TV shows like 24 and other police procedurals will prefer the Nest Cam IQ’s Enhance feature, which takes advantage of the camera’s 4K sensor. Zoom in on an area of the yard and initially, it’ll be rendered in blocky digital-zoom-o-vision. But tap the Enhance button at the bottom of the screen, and the camera magically refocuses to sharpen the image. Similarly, the camera’s tracking also works well to first zoom-in on people detected in the field of vision, then follow them as they wander around the yard. While there’s no CTU criminal mugshot database behind the scenes to support face recognition, you can train Nest Cam IQ to spot people you know. Intelligence? Jack Bauer never had it so good. Unfortunately, to extract the full value from the camera, you’ll need to add a Nest Aware subscription (available from $5 per month per camera), which lengthens the camera’s cloud recording history and, importantly, unlocks more of the “IQ” you want from “Nest Cam IQ”. Without the subscription, you benefit from basic motion and sound detection, plus automated zoom, activity tracking, and “Person Seen” alerts – so, out of the box, Nest Cam IQ is hardly bereft of features. However, a subscription boosts the camera’s usability with trendy machine-learning capabilities, including intelligent motion detection (delivering more accurate alerts and a reduction in false positives), “person speaking” and “familiar face” alerts as well as activity zone support. While it’s disappointing that Nest has locked some of the camera’s most inspiring features behind a paywall – particularly given Nest Cam IQ’s premium price – at least you can test their value out of the box with a free, 30-day trial. Intelligence? Jack Bauer never had it so good. Nest Cam IQ Outdoor is undoubtedly a pricey smart home camera, but its premium price buys you a first-class user experience. You’ll find very little lag between live action and the display on your smartphone (or web browser, or Android TV device), while push notifications are received almost instantaneously. We particularly liked the Nest app’s super-simple controls for reviewing and archiving recorded clips. A timeline of animated thumbnails allow you to quickly review the day’s events, with each clip clearly labelled with an associated trigger – person detection, sound or motion detection and so on. Tap to view the recorded action on-screen, or you can archive clips you want to save to the cloud, create time-lapse videos, share recordings on social networks, and download clips for local viewing. It’s responsive, reliable and really slick. 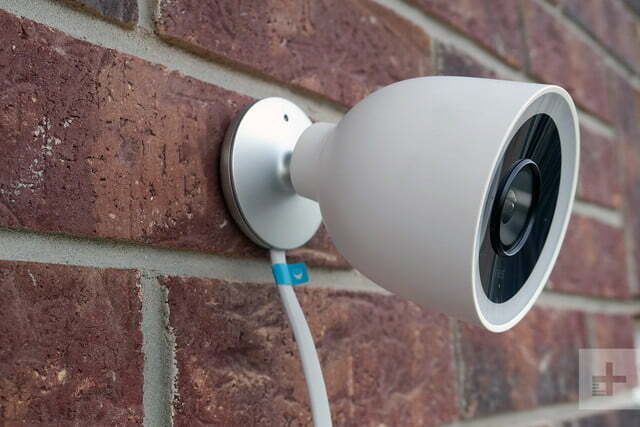 Nest Cam IQ Outdoor is sold with a 2-year limited warranty. 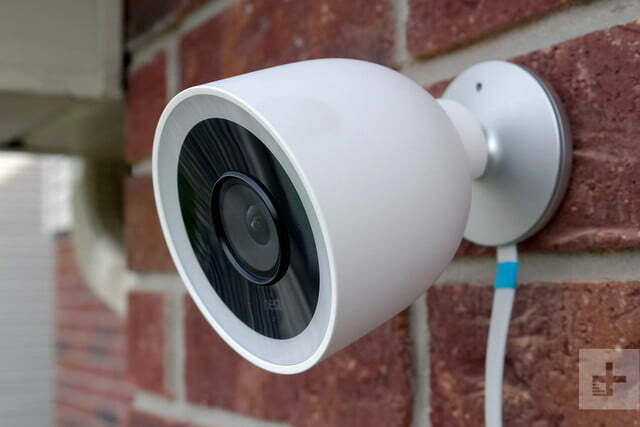 It may lack some of the more obvious security features supported by competitors, but Nest Cam IQ Outdoor wins plaudits for its sleek lines, smart features and fantastic day/night image quality. However, those features come at quite the price. Nest Cam’s $349 price tag is significantly higher than its peers, and you’ll need to add at least another $60 per year to unlock its full potential. The $199 Ring Cam Spotlight Wired is a solid option for value-hunters. 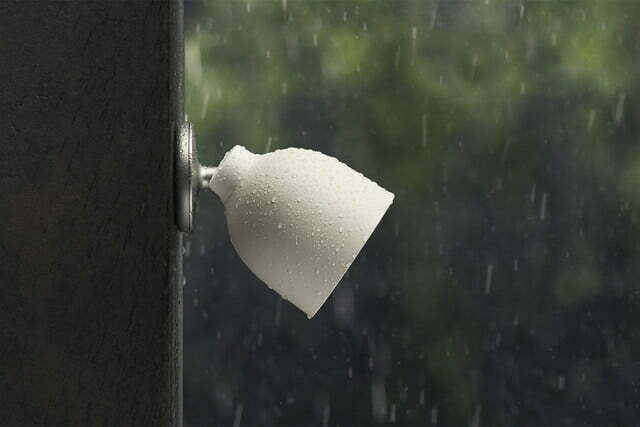 It can’t quite match Nest Cam IQ Outdoor’s looks, intelligence or image quality but adds a handy security spotlight to your home. Elsewhere, the $479 Netgear Arlo Pro 2 system is more compact, battery-powered and includes a siren for alerting the neighborhood about potential intruders. Nest has had a reasonably rocky few years finding a permanent home in the Google organization, but with those issues now resolved, and you should have no concerns about long-term support for the company’s smart home devices. Yes. It’s not the cheapest outdoor camera available, but few can match the quality, intelligence and simplicity of Nest Cam IQ Outdoor.